This contribution discusses the European principles on unjustified enrichment as recently published in the Draft Common Frame of Reference (2008). These principles (or rather: model rules) were drafted with a view to the improvement and elaboration of the present European acquis in the field of private law. This contribution considers not so much the substantive details of the new model rules, but more the need for and the function of drafting principles in this area of the law. This is a legitimate approach as the law of restitution is traditionally not a core area of European legislative intervention. It is concluded that, in view of the multilevel regulation of European private law, enrichment law is better regulated at the national level than at the European one. 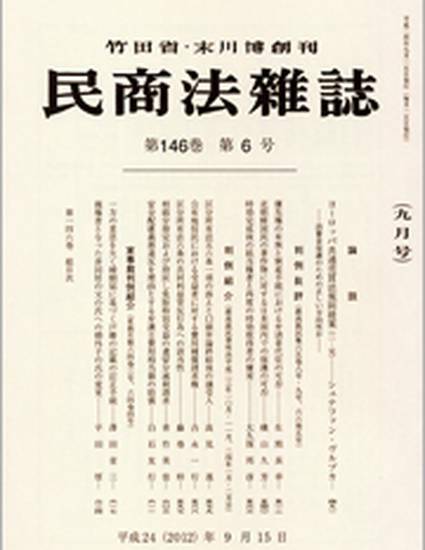 This contribution was translated into Japanese by Akimichi Sasakawa and Kazuyki Yoshinaga.